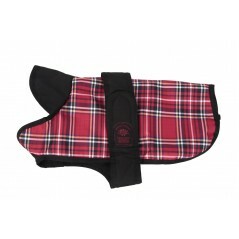 An Outhwaite 10" Red Tartan, waterproof, unlined underbelly dog coat from Animate. Designed to keep ..
An Outhwaite 12" Red Tartan, waterproof, unlined underbelly dog coat from Animate. Designed to keep ..
An Outhwaite 14" Red Tartan, waterproof, unlined underbelly dog coat from Animate. Designed to keep ..
An Outhwaite 16" Red Tartan, waterproof, unlined underbelly dog coat from Animate. Designed to keep ..
An Outhwaite 18" Red Tartan, waterproof, unlined underbelly dog coat from Animate. Designed to keep ..
An Outhwaite 20" Red Tartan, waterproof, unlined underbelly dog coat from Animate. Designed to keep ..
An Outhwaite 22" Red Tartan, waterproof, unlined underbelly dog coat from Animate. Designed to keep ..
An Outhwaite 24" Red Tartan, waterproof, unlined underbelly dog coat from Animate. Designed to keep ..
An Outhwaite 26" Red Tartan, waterproof, unlined underbelly dog coat from Animate. Designed to keep ..
An Outhwaite 28" Red Tartan, waterproof, unlined underbelly dog coat from Animate. Designed to keep ..
An Outhwaite 30" Red Tartan, waterproof, unlined underbelly dog coat from Animate. Designed to keep ..
An Outhwaite 8" Red Tartan, waterproof, unlined underbelly dog coat from Animate. Designed to keep y..